find what you need at a glance, without opening every drawer and pulling down every box until you find the right one. They don’t even have to be fancy, just legible. Hooks are helpful. 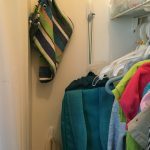 When you have a few items in use often and odd shapes, try hooks on the wall or door. 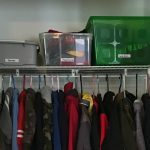 They will be easy to grab and just as easy to put away. 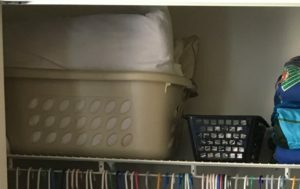 Command hooks, if used properly, can be easily removed and reassigned as your needs change. 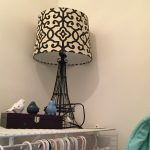 You can even arrange the hooks in a row or circle or zigzag, whatever pattern is pleasant for your grouping and space. Decorate what you cannot hide. You are keeping it for now, but there isn’t a good place for it in storage. Try arranging it attractively in an empty corner. It will be pleasing to your eye while it occupies space until you use it again. Another option is to cover a box with wrapping paper or a tablecloth. If it has to be out in the living room, it might as well be pretty — or even useful as a side table. Even on a shelf, banker’s boxes work well; they are uniform, tough and easy to cover with decorative paper. 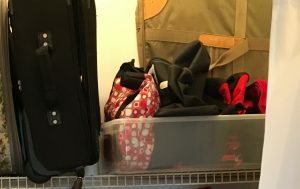 You will be hiding your storage in plain sight. Keep empty hangers together. 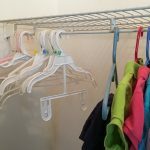 If you have a hanging rod, you will find the hanger you need to put the shirt back up right away…if they are always in the same place. Hunting through all your clothes for an empty hanger wastes time. Contain loose items as much as you can. If pulling one thing out of a pile will bring the whole thing down on your head, find a box that will contain them. Not only will your head thank you, you will save minutes each time you get one of those things out for use. Don’t stack too high. We’ve all experienced the landslide effect; in addition to being unpleasant, that also takes time to put everything back where it belongs. 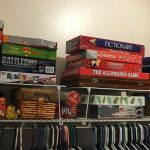 Keep your stacks of boxes manageable, usually 3 or 4 high, so that you can pull one out without everything coming down on your head. If you need to go higher on a shelf, you can add extensions or make an open box function as a shelf. Repair as you go. Now is your chance. You are touching everything, so make needed repairs while you are sorting. 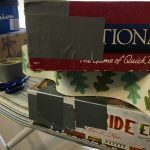 Tape up broken boxes, replace ripped bags or cracked bins, etc. If you would like a visual summary of the process described in this post, please click here for an infographic. Any other ideas you have found helpful? I know I enjoy picking them up along the way through shared stories and experiences. Please post a comment below to add to the treasury.